London - Andy Robertson says Liverpool's last-gasp defeat of Tottenham showed the players have the belief to win any match as they go head to head with Manchester City for the Premier League title. Toby Alderweireld's own goal was also Liverpool's 33rd match winner in the 90th minute or later in Premier League history, eight more than any other club. 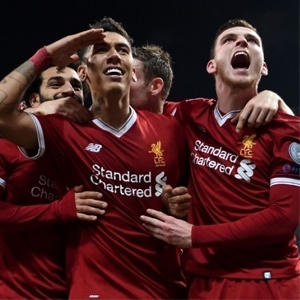 "I think it comes from the whole squad having the right attitude and belief that we are good enough to win any game," said Liverpool defender Robertson. "We know we've got the energy, we know we've got the heart to go right until the end in every single game. "Our fitness levels are the best they should be at this point of the season, so we know we can go right to the end. "Sometimes you just need that bit of luck and we got it but even when we were going through the tough times in the second half, we still believed we were going to win the game and that's the mentality we have." With the game against Tottenham at 1-1 heading into the 90th minute it seemed like a pivotal moment in the title race, as Jurgen Klopp's side looked set to drop two points. "We are obviously buzzing with the three points but nothing has been won, just a game, and we have a long way to go," he said. "There won't be over-celebration. It is a big thing against a rival but we need to keep going and let's see where it takes us any way."